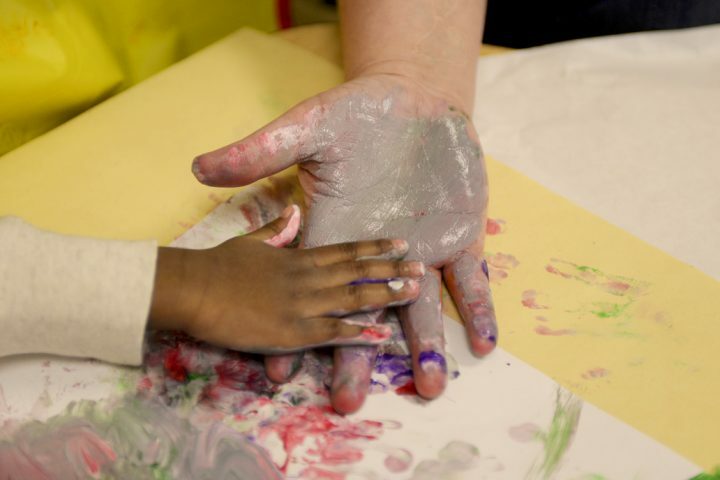 A new study provides evidence of racial and gender bias in preschool children. In two experiments, youngsters responded much less positively to photos of black boys than they did photos of white girls, black girls and white boys. The paper, published in Developmental Science, claims to present “the earliest evidence of bias at the intersection of race and gender.” The youngsters’ behavior mirrors patterns of bias that earlier studies have found in adults, explained one of the lead authors, Danielle Perszyk of Northwestern University. Perszyk said white and minority children showed the same biases. She also said the findings suggest kids may be picking up on cues about race and gender from their parents and others at an earlier age than previously thought. She and her colleagues studied the responses of two groups of 30 children who were shown photos of white and black children. Each photo featured a child between the ages of 4 and 8 and all children in the photographs wore similar expressions and clothing. The kids who participated in the study were either 4 or 5 years old. To make sure the youngsters understood how to identify an image as “nice” and “not nice,” the researchers did a pretest using images of a cute puppy and a snarling dog. This pretest was a validation trial. This experiment was designed to test for implicit, or unconscious, bias. Of the 30 kids who participated, 19 were white, two were black, two were Asian, one was Hispanic and six were multiracial. 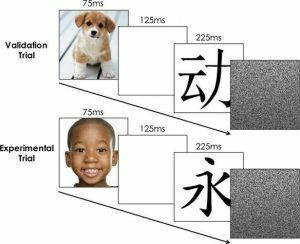 Here’s what researchers found: If the Chinese character appeared immediately after a photo of a white child, the preschoolers were much more likely to say it was nice looking than if the Chinese character appeared immediately after the photo of a black child, regardless of gender. Regardless of their own race or ethnicity, the youngsters were more likely to say the Chinese character was not nice looking if it appeared after a photo of a black boy than if it had followed a photo of a black girl, white girl or white boy. The second group of preschoolers were shown photographs of black and white children and asked to rate each one on a scale of 1 to 6. They were instructed to choose a 1 if they “really don’t like” the photo and a 6 if they “really like” it. The researchers used emojis — smiling and frowning cartoon faces — to help the kids rate each photo. This experiment was designed to test for explicit bias, or a bias a person has on a conscious level. Of the 30 kids who participated, 18 were white while one was black, four were Asian, one was Hispanic and six were multiracial. Again, the youngsters expressed bias in favor of girls and white children. Photos featuring girls were given a rating of 4.27, on average, while photos of boys were given an average rating of 3.37. When researchers examined ratings by race, they found that photographs of black boys received the lowest rating — an average of 3.01. Meanwhile, white girls received an average rating of 4.37 and black girls received an average rating of 4.16. The preschoolers gave photos of white boys a rating of 3.72, on average. Perszyk stressed that the study’s findings apply only to these two groups of children and not necessarily to preschoolers nationwide or even all of those living in the Evanston, Illinois area, where the kids who participated in this study live. Northwestern University is located in Evanston, a majority white, middle‐class community where 17 percent of residents are black, 11 percent are Hispanic, 10 percent are Asian and 3 percent are multiracial, according to the study. Perszyk said the research team eventually plans to do more research in this area. “It will be important to broaden this empirical base by including more children from diverse racial, cultural, and socioeconomic backgrounds and by examining the emergence of social bias in communities where race, majority status, and social status may be less intertwined,” write the paper’s authors, who also include Ryan Lei of New York University, Galen Bodenhausen of Northwestern University, Jennifer Richeson of Yale University and Sandra Waxman of Northwestern University. Looking for more research on preschool children? Check out our research roundup on daycare and early childhood education in the United States. We’ve also written about how immigration into the U.S. impacts childcare prices. Journalist’s Resource received permission to use a graphic published within the study to show examples of images that researchers showed to the preschool children. This graphic was copied from the January 2019 published study. Citation: Perszyk, Danielle R.; et al. “Bias at the Intersection of Race and Gender: Evidence from Preschool‐Aged Children,” Developmental Science, January 2019. DOI: 10.1111/desc.12788.